Saratoga Roofing and Construction has a lot in common with Roofmax. Both companies are family businesses owned by strong women who have their children working along side them. 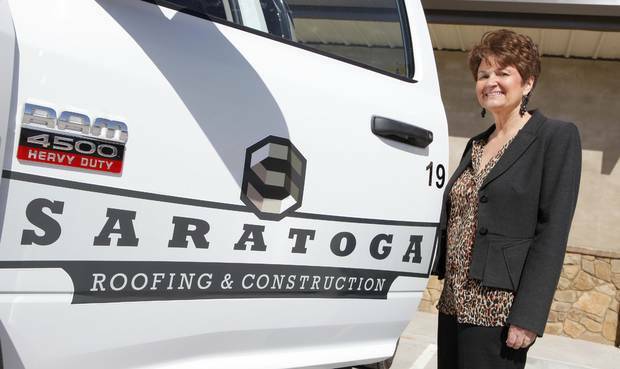 Saratoga Roofing and Construction has an inspiring story as they have grown from 12 employees to 48 employees in the last two years, with $11.5 million in revenues last year alone. CEO, Chris Green, credits much of this growth to reading the story “The Little Engine that Could” as a child. “The words ‘I can’t’ have never been allowed in this family,” she said. We all need to be reminded sometimes that a “can-do” attitude can make all the difference. This entry was posted in Blog, Industry News, Press Releases. Bookmark the permalink.